The post Yes Pho: Experience Vietnam in a Bowl appeared first on When In Manila. Being a life-long learner, I look at every experience as a learning experience. Whether I am trying to speak Ilocano or finding my way around Session Road, the chance to learn something new is always around the corner. One thing I consider an open door for learning is trying out new kinds of food. Living in Baguio City, I get to experience a melting pot of various food cultures wherever I go. Whether it’s Korean, Chinese, or even the Ifugao culture – name it and you’ll find it here in Baguio. Vietnamese culture is one of the budding food cultures that is being represented in the City of Pines right now. Vietnamese food is known to be both delicious and healthy since it features an array of fresh vegetables, seafood, and Oriental flavors. 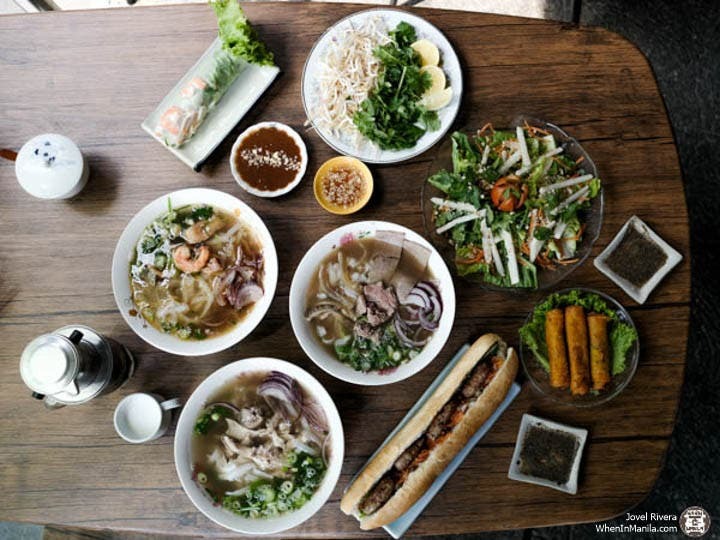 Yes Pho, a budding Vietnamese restaurant, is raising the Vietnamese food culture’s flag in the Summer Capital by serving Vietnamese classics like pho and banh mi, Yes Pho has established itself as one of the most notable restaurants to go to when in Baguio. The Vietnamese counterpart of our all-time favorite lumpiang ubod, their fresh spring roll has fresh vegetables and your choice of meat rolled in rice wrapper. Served with peanut sauce, this dish is sure to hype up your meal! Love lumpia? Then you’ll love this, too! Pork, eggs, noodles and vegetables are wrapped and fried ’til crispy. Nuoc nam sauce is served on the side as a condiment. 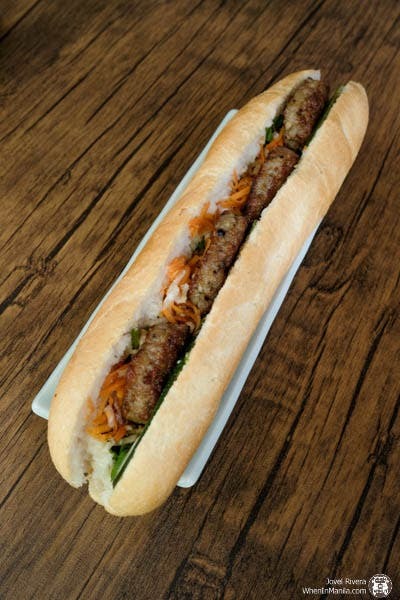 A must-try at Yes Pho, meatballs are tucked between a sliced baguette filled with a generous amount of herbs and vegetables. Featuring a garden of lettuce and in-season vegetables, Yes Pho’s Green Salad is tossed in nuoc nam sauce, and is sure to make you smile with each bite. Aaannnddd….. this is the reason why Baguio people keep coming back for more. 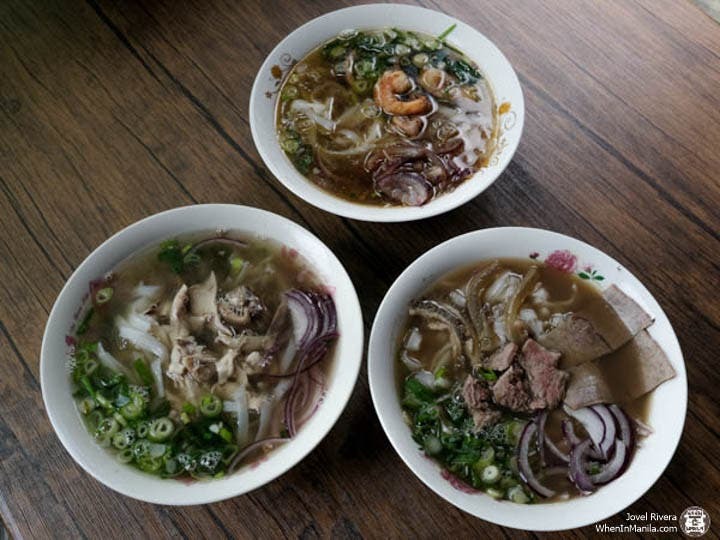 Yes Pho takes pride in its own take on this Vietnamese classic. The house’s herb-infused broth is served with rice noodles and your choice of meat. With a generous serving of vegetables on the side, you’ll definitely say YES PHO! Like the Cordillerans, Vietnamese people also take pride in their coffee. Served with coconut milk, their freshly-dropped Vietnamese coffee is sure to wow every coffee lover out there (like me)!